Ladybug is ready for a vacation! When she flies into the city, the last thing she expects is to run into those no-good robbers Hefty Hugh and Lanky Len. This time, the dastardly duo have their sights set on Monkey Joe, resident of the local zoo―with his help, they hope to break into the Queen’s palace! It will take all the animals, including the Queen’s famous corgis, to put an end to this royal mischief. 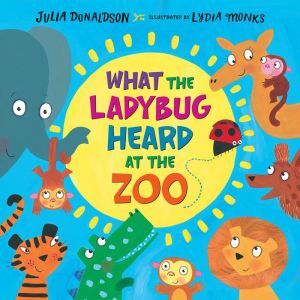 Julia Donaldson and Lydia Monks have done it again in this latest laugh-out-loud romp!